As a culturally competent organization, we offer our patients the comfort of speaking in their native tongue. La casita de la salud has a paid Spanish-speaking professional medical interpreter trained in medical interpretation, in addition to being HIPAA certified. Interpreter services are imperative for ensuring accurate communication between health provider and patient. Patients must be able to understand plans and treatment regimens given in order to be compliant. Clear communication and cultural sensitivity can cultivate trust between provider and patient, which may also lead to an increase in patient compliance. Patients are seen by one of two Clinical Care Teams consisting of one first/second year student, and one third/fourth year student. At least one attending physician oversees all the clinical aspects of care. The Clinical Care Team takes patient histories, performs physical exams, confers diagnoses, and maps out treatment plans. In the waiting room, presentations are given by the Patient Education Team to educate patients about important health issues in the East Harlem community such as asthma, diabetes, obesity, cancer, and heart disease. These students are also available on a one-on-one basis to answer any questions patients may have about prevention or management of these illnesses. We have an on-site Community Resources Team. The team can provide information on local services and other community organizations for more specialized support and care. In addition, this team is trained to evaluate patient eligibility for a variety of relevant insurance programs. Through the concerted efforts of our patient care teams, we hope to forge long-lasting meaningful relationships with our patients. We anticipate that our approach will increase patient satisfaction and improve health outcomes. In addition to education of patients, volunteer students from New York Medical College learn various aspects of patient care. We seek to inspire students to pursue careers in primary care, particularly in underserved communities like East Harlem. In the process, our volunteer faculty physicians instill the spirit of professionalism, respect, dignity, and compassion while providing excellent patient care. As a teaching facility, the experienced physicians at La casita de la salud stay up-to-date with the latest medical knowledge and techniques in order to effectively teach students. This also translates into better care for our patients. Before the passage of the 2010 Patient Protection and Affordable Care Act, there were over 43 million uninsured people in the United States, and one in six Americans under the age of 65 was uninsured (U.S. Census Bureau, 2002). Those without insurance suffer worse health and die sooner than those who have coverage. On average the uninsured use half to two-thirds the number and value of services compared with their privately insured counterparts. 43% of working age adults without health insurance reported they had not sought a physician’s care when they had a medical problem in the previous 12 months, compared to only 10% of those with coverage. Uninsured adults have a 25% greater mortality risk than adults with coverage. Uninsured individuals with chronic conditions such as diabetes and cardiovascular disease have consistently less access to preventive care and have worse clinical outcomes than do insured patients. The uninsured also place enormous financial burdens on an already strained health care system. In 2004 alone, uninsured Americans incurred an estimated $41 billion in uncompensated health care (Institute of Medicine, 2004). 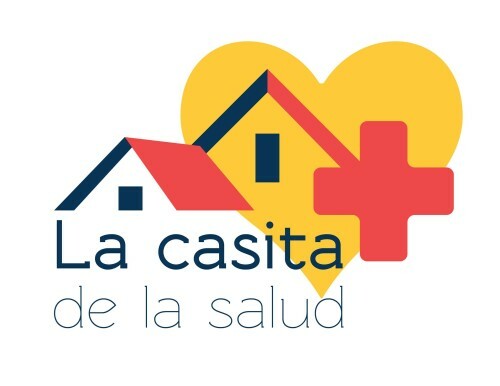 La casita de la salud seeks to bear and reduce some of the cost associated with the uninsured. By getting care to the uninsured at early stages, we can reduce the multiplying effects on cost that this problem carries. Using standard quality indicators, La casita de la salud actively monitors its performance in the areas of patient satisfaction, wait times, and patient outcomes. We also keep records of diagnoses so we can tailor our patient education and preventative health presentations to suit the needs of our patients and the community. As the data is evaluated, changes are made to improve service. All information collected will be made available to patients. We are very excited to work with the community of East Harlem, and we hope to make a significant difference by providing quality care to those who need it most.